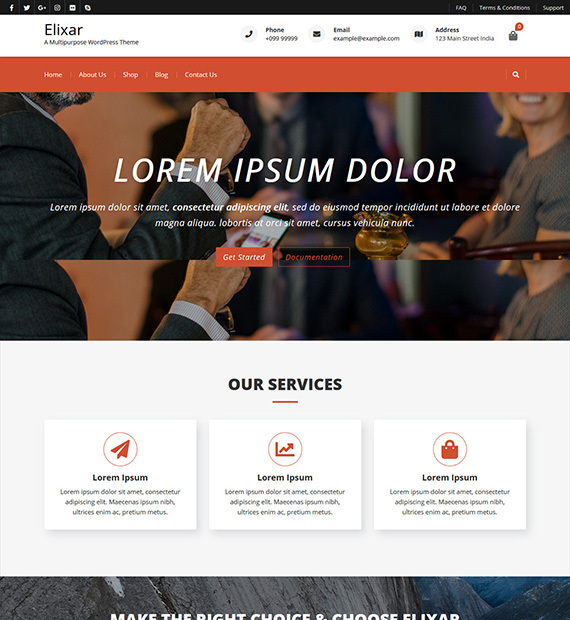 Elixar is a free WordPress theme that can help you build a website that you’ve always wanted. As it is compatible with the SiteOrigin Page Builder, building a beautiful looking site is a piece of cake. Furthermore, this theme is also translation ready and is compatible with the WPML plugin. As this theme has been coded with HTML5 and CSS3, you can create an engaging and lively site without having to use Adobe Flash. To top it all off, Elixar is fully responsive, cross-browser compatible, SEO optimized as well as WooCommerce ready.